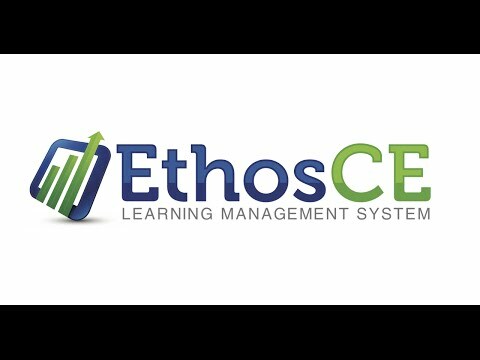 EthosCE is a cloud-based learning management system for medical associations and health centers to support continued education in health professions such as medicine, nursing and pharmacy with a range of features including unlimited learners and courses, graded assessments and evaluations, personal profiles and CE transcripts, SCORM, Tin Can and digital media support, and more. As a mobile-friendly solution, EthosCE gives learners the flexibility to access courses and content on the go, via mobile devices. EthosCE provides users with the tools to create and share courses, tests and certificates online, as well as build communities, measure learner performance and leverage social media features with social media integration, a Drupal content management system, SCORM Tin Can API, course rating system and 24/7 reporting capabilities. EthosCE supports different branding options, allowing users to customize site templates to work with and match their brand. Assessment tools such as quizzes and surveys allow users to assess learner knowledge at any time during a course. Users can choose from multiple choice, true-false, essay, and other common question types. EthosCE enables users to create rich multimedia courses, plus custom design certificates and credit types. Users can also manage multiple courses with grouping and completion tracking tools. EthosCE supports offline learning, allowing users to track what learners have done when they are not online. Designed to enhance user-productivity, EthosCE incorporates a course creation wizard, as well as course cloning and drag and drop tools. User management functionality helps users manage learners effectively with bulk learner and transcript import, course enrollment management, and learner export tools. EthosCE analytics give intelligent insight into learning performance, allowing users to measure learner engagement and understand learner behaviors, and more. EthosCE supports a number of add-ons including attendance tracking, meeting management and webcasting tools. There are currently no reviews of EthosCE. Contact DLC Solutions for detailed pricing information for EthosCE. EthosCE offers full multimedia, SCORM and Tin Can support, helping users to create rich and engaging multimedia courses. Users can also create online quizzes and surveys to assess learner understanding at any time. A course creation wizard, plus one-click course cloning and drag and drop tools help users create and manage course content quickly and easily. Reporting and analytics tools allow users to visualize their site’s data and gain valuable insight into learner engagement, behaviors and understanding. Ecommerce functionality allows users to sell their courses and activity registrations online. EthosCE supports subscription-based access, role-based pricing and coupons and discount management. EthosCE’s branding options enable users to customize site templates to match their business’s colors and logo without technical designer or HTML help. Below are some frequently asked questions for EthosCE. Q. What type of pricing plans does EthosCE offer? Q. Who are the typical users of EthosCE? Q. What languages does EthosCE support? Q. Does EthosCE support mobile devices? Q. Does EthosCE offer an API? Yes, EthosCE has an API available for use. Q. What other apps does EthosCE integrate with? Q. What level of support does EthosCE offer?